The international medical humanitarian organisation Médecins Sans Frontières/Doctors Without Borders (MSF) today releases a critical analysis of the Ebola epidemic in west Africa over the past year, revealing the shortcomings of the global response to the crisis and warning that the outbreak, despite an overall decline in cases, is not yet over. The report, 'Pushed to the Limit and Beyond', is based on interviews with dozens of MSF staff involved in the organisation’s Ebola intervention. It describes MSF’s early warnings one year ago about cases of Ebola spreading in Guinea, the initial denial by governments of the affected countries, and the unprecedented steps that MSF was forced to take in the face of global inaction as the outbreak engulfed neighbouring states. Over the past year, more than 1,300 MSF international staff and 4,000 local staff have been deployed in west Africa, where they cared for nearly 5,000 confirmed Ebola patients. The report details the effects of the several months-long “global coalition of inaction,” during which the virus spread wildly, leading MSF to issue a rare call for the mobilisation of international civilian and military medical assets with biohazard capacity. By the end of August, MSF’s ELWA3 centre in Monrovia was overwhelmed with patients. Staff were forced to turn away visibly ill people from the front gate, in the full knowledge that they would likely return to their communities and infect others. 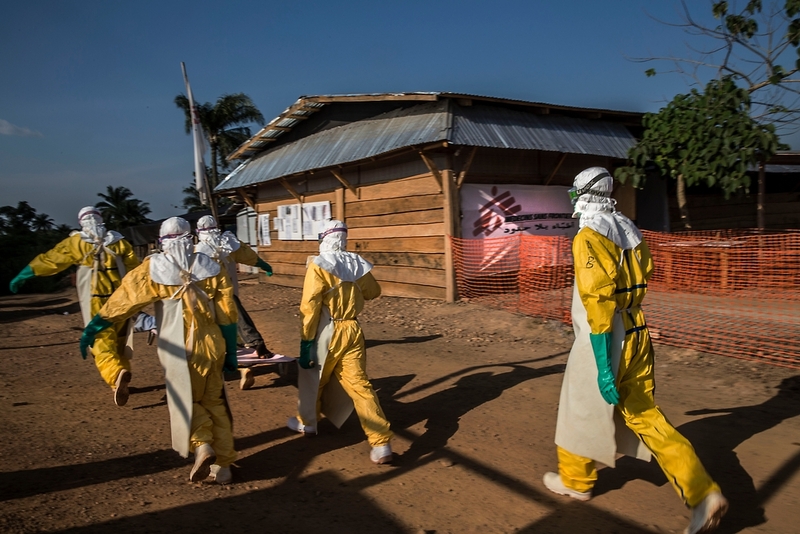 “The Ebola outbreak has often been described as a perfect storm: a cross-border epidemic in countries with weak public health systems that had never seen Ebola before,” says Christopher Stokes, MSF general director. MSF’s process of reflection is underway, as it seeks to learn lessons that can be applied to future outbreaks, while documenting and analysing its patient data to examine the multiple factors that can contribute to Ebola mortality. Crucially, a global strategy to sustain research and development for Ebola vaccines, treatments and diagnostic tools must be developed. In Guinea, patient numbers are again rising. In Sierra Leone, many people are presenting with the virus who were not previously on lists of known Ebola contacts. On 20 March, a patient tested positive for Ebola in Monrovia, the first confirmed case in more than two weeks after the ast known case was discharged in Liberia. In the three worst affected countries, nearly 500 health workers have lost their lives in the past year, a disastrous blow to an already serious shortfall of staff before the Ebola crisis hit. It is urgent that access to health services is restored as a first step towards rebuilding functional health systems in the region.